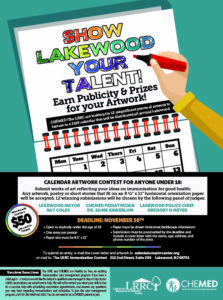 Attention Kids: Show Lakewood your Talent! 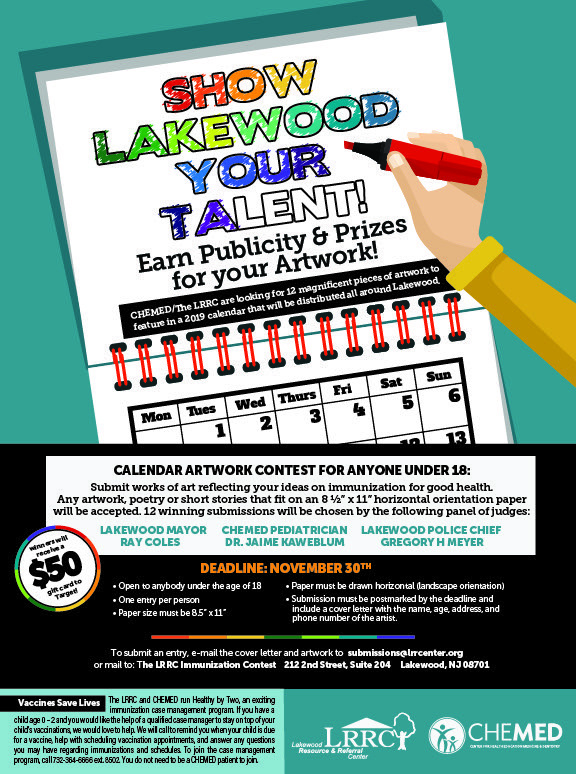 [COMMUNICATED] CHEMED/The LRRC are looking for 12 magnificent pieces of artwork to feature in a 2019 calendar that will be distributed all around Lakewood. See flyer for more details and instructions for submissions.